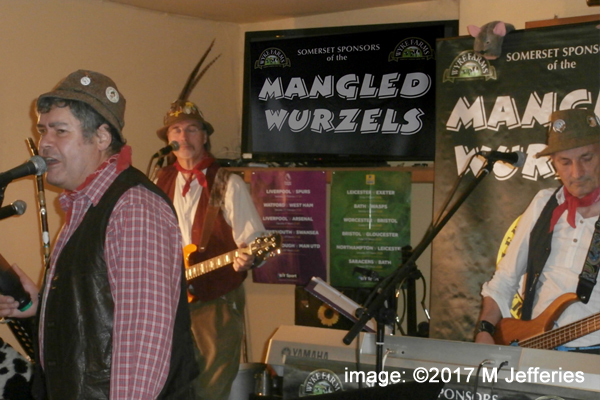 Direct from Somerset: The Mangledwurzels - a Scrumpy & Western tribute to Adge Cutler & The Wurzels. Please note - this is not the official website for The Wurzels. 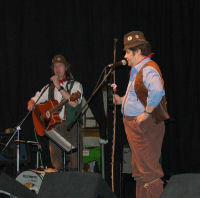 If you want to book The Wurzels, contact the band's manager Sil Wilcox through official Wurzels website. 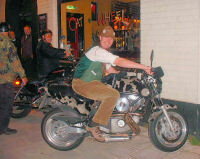 Click here to go to the Mangledwurzels Gallery.